I am so excited on behalf of our entire team, to welcome you to our new web site. This web site is the brain child of Form & Affect, who have worked on a number of web sites for us in the past. 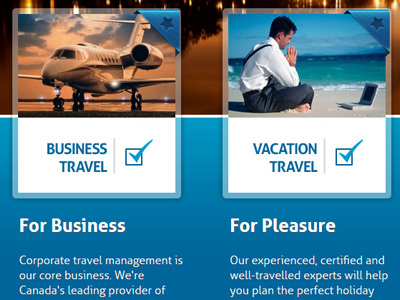 We asked them to give us a "wow" web site which would enable us to show prospective and current clients how far we have come as a travel agency since our inception on September 1, 1960. 52 years later and here we are. I hope you will agree, the mission has been accomplished. Please enjoy our new home.